Children at recess and in other play situations have two main options: They can be allowed to play freely, or given structured activities and play to take part in. While both have their benefits, many caregivers opt for structured play to help encourage “productive” playtime and keep playtime under control. However, the importance of free play means more kids should be given free rein at recess to push their own boundaries and grow. ■ Mental: When children play without adult rules and interaction, they need to help develop the rules of the games they create, and they really allow their imaginations to run free as they come up with new ways to play. This process encourages children to push beyond their limits and think outside the box to come up with fun variations on what they know. Staying flexible and adaptable as the rules change is also great for helping stimulate cognitive ability. 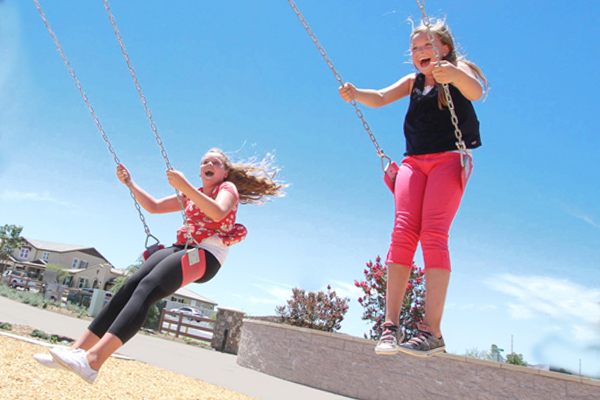 ■ Emotional: Free play is child-centered, which can help build independence and confidence. As children play with their own rules, they learn the consequences of different choices, how to problem solve, and even how to deal with disappointment, which helps them grow emotionally. A child who invents a new game on the slide, and then proceeds to lose, learns to handle the disappointment and how to better adopt new rules in order to to set themselves up for success. Kids who play without adults telling them what to do also get to explore what kinds of play they do and don’t enjoy. 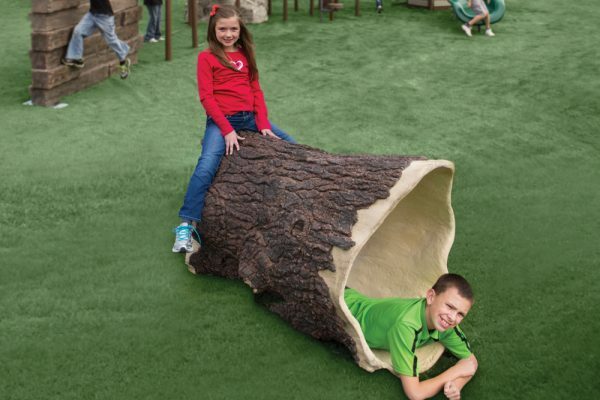 ■ Physical: Kids who are allowed to free play enjoy stretching their legs and experimenting with movement, whether that means trying new moves on climbers or heading down a new slide. When kids are free to try on their own, they may learn to test out their boundaries. ■ Social: Free play can be excellent for social skill development, since kids who play without adult interaction and interference must negotiate among themselves. Kids learn how to convince others to try things their way and learn to resolve differences of opinion and debates about what’s “fair” in a game on their own. Many of these skills learned in free play can then be brought back to the classroom or even to organized sports and more structured activities. Quite simply, free play gives children a chance to figure things out for themselves. Now that we’ve established the importance of free play in childhood development, how can you get more free play time into your children’s play space? Free play can benefit from quality play equipment designed to give children the freedom to explore different types of play and games in one space. PlayPower Canada has a range of durable pieces and solutions, and we can customize playgrounds and play equipment to fit your needs. Contact PlayPower Canada today to learn how we can help you create the playground you want.